A disputed case of euthanasia in Belgium, involving the death of a dementia patient who never formally asked to die, has again raised concerns about weak oversight in a country with some of the world's most liberal euthanasia laws. The case is described in a letter provided to The Associated Press, written by a doctor who resigned from Belgium's euthanasia commission in protest over the group's actions on this and other cases. Euthanasia — when doctors kill patients at their request — can be granted in Belgium to people with both physical and mental health illnesses. The condition does not need to be fatal, but suffering must be "unbearable and untreatable." It can only be performed if specific criteria are fulfilled, including a "voluntary, well-considered and repeated" request from the person. 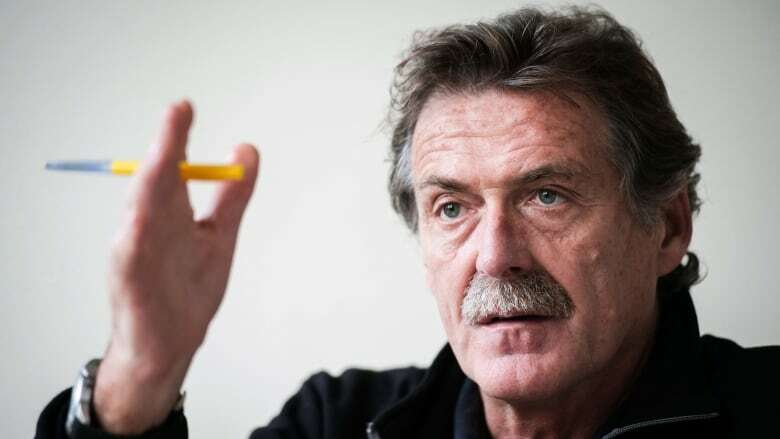 But Belgium's euthanasia commission routinely violates the law, according to a September letter of resignation written by Dr. Ludo Vanopdenbosch, a neurologist, to senior party leaders in the Belgian Parliament who appoint members of the group. The most striking example took place at a meeting in early September, Vanopdenbosch writes, when the group discussed the case of a patient with severe dementia, who also had Parkinson's disease. To demonstrate the patient's lack of competence, a video was played showing what Vanopdenbosch characterized as "a deeply demented patient." The patient, whose identity was not disclosed, was euthanized at the family's request, according to Vanopdenbosch's letter. There was no record of any prior request for euthanasia from the patient. After hours of debate, the commission declined to refer the case to the public prosecutor to investigate if criminal charges were warranted. Vanopdenbosch confirmed the letter was genuine but would not comment further about the specific case details. The two co-chairs of the euthanasia commission, Distelmans and Gilles Genicot, a lawyer, said the doctor treating the patient mistakenly called the procedure euthanasia, and that he should have called it palliative sedation instead. Palliative sedation is the process of drugging patients near the end of life to relieve symptoms, but it is not meant to end life. "This was not a case of illegal euthanasia but rather a case of legitimate end-of-life decision improperly considered by the physician as euthanasia," Genicot and Distelmans said in an email. Vanopdenbosch, who is also a palliative care specialist, wrote that the doctor's intention was "to kill the patient" and that "the means of alleviating the patient's suffering was disproportionate." Though no one outside the commission has access to the case's medical records — the group is not allowed by law to release that information — some critics were stunned by the details in Vanopdenbosch's letter. "It's not euthanasia because the patient didn't ask, so it's the voluntary taking of a life," said Dr. An Haekens, psychiatric director at the Alexianen Psychiatric Hospital in Tienen, Belgium. "I don't know another word other than murder to describe this." Kristof Van Assche, a professor of health law at the University of Antwerp, wrote in an email the commission itself wasn't breaking the law because the group is not required to refer a case unless two-thirds of the group agree — even if the case "blatantly disregards" criteria for euthanasia. But without a request from the patient, the case "would normally constitute manslaughter or murder," he wrote. "The main question is why this case was not deemed sufficiently problematic" to prompt the commission to refer the case to prosecutors. Vanopdenbosch, who in the letter called himself a "big believer" in euthanasia, cited other problems with the commission. He said that when he expressed concerns about potentially problematic cases, he was immediately "silenced" by others. And he added that because many of the doctors on the commission are leading euthanasia practitioners, they can protect each other from scrutiny, and act with "impunity." Vanopdenbosch wrote that when cases of euthanasia are identified that don't meet the legal criteria, they are not forwarded to the public prosecutor's office as is required by law, but that the commission itself acts as the court. 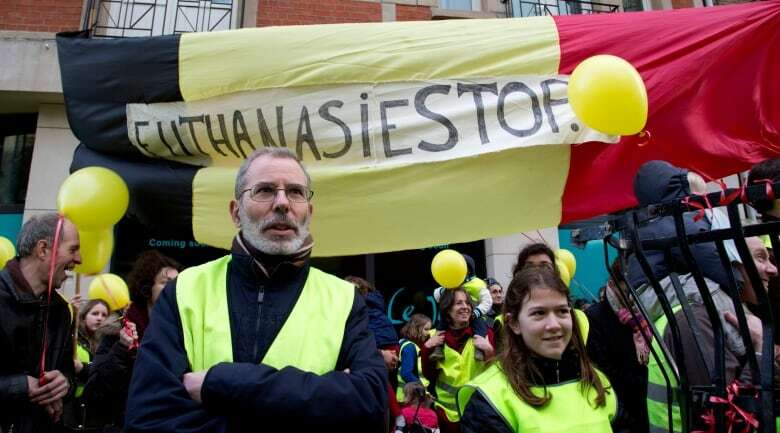 In the 15 years since euthanasia was legalized in Belgium, more than 10,000 people have been euthanized, and just one of those cases has been referred to prosecutors. Genicot and Distelmans said the group thoroughly assesses every euthanasia case to be sure all legal conditions have been met. "It can obviously occur that some debate emerges among members but our role is to make sure that the law is observed and certainly not to trespass it," they said. They said it was "absolutely false" that Vanopdenbosch had been muzzled and said they regretted his resignation.